Fountains on Ocean Boulevard is a sell out. As one of the newest Fort Lauderdale Condominiums, the Fountains on Ocean Blvd was one of the few unsold Ft Lauderdale Condos when the Ft Lauderdale Real Estate market slowed. In 2010 the developer took agressive price adjustments and at the beginging of 2011 there are only approximately 20 unsold units in the two towers of the Fountains of Ocean Boulevard . Fort Lauderdale's Condo Market is about to see a shortage in inventory which has been proven by the huge success of the Fountains on Ocean Boulevard auction. A complete sell-out of the final units was the result of a huge turnout of potential buyers. Fountains Fort Lauderdale Condos each feautres a designer kitchen, with top of the line appliances, and a master bath that features a color television behind the mirror and speakers in the bathroom ceiling. The Fountains on Ocean Boulevard contain a long list of quality features throughout that make the Fountains on Ocean Blvd. one of the best values in Fort Lauderdale Real Estate. Eric Miller and Associates, and the Fort Lauderdale Real Estate Group, are pleased to be representing the only resale in the builiding. A top floor, "B" floor plan with upgrades throughout. From the spectacular cherry wood flooring, to the direct ocean view this unit is one of the finest two bedrooms at the Fountains on Ocean Blvd. This unit is offered with two gargage parkng spots. The Fountains Condos feature open kitchens with large pantries. All the closets are finished with complete shelving making for great storage area. The master baths all have seperate whirpool tubs, and glass enclosed showers. The building features a roof top pool, beautiful top of the line gym, and two sundecks with "wi-fi" access. At Eric Miller and Associates, "We're here to help" with your next Fountains on Ocean Blvd. purchase or sale. Contact us directly at (954) 383-8170. 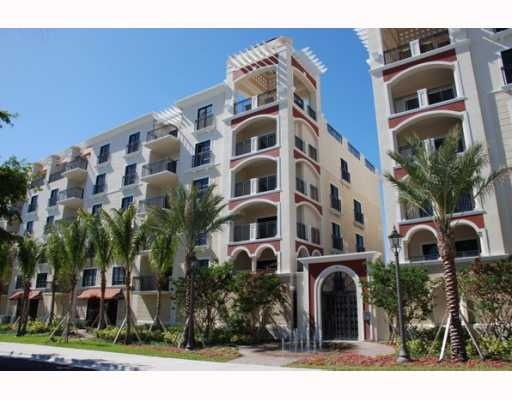 Follow the links below to other featured Fort Lauderdale Beach Condos.